As announced on The Hollywood Reporter, award-winning publisher BOOM! Studios is excited to reveal that Michael Keaton (Birdman, Batman) will star in and produce a film adaptation at 20th Century Fox of the comic series Imagine Agents, created by Brian Joines. 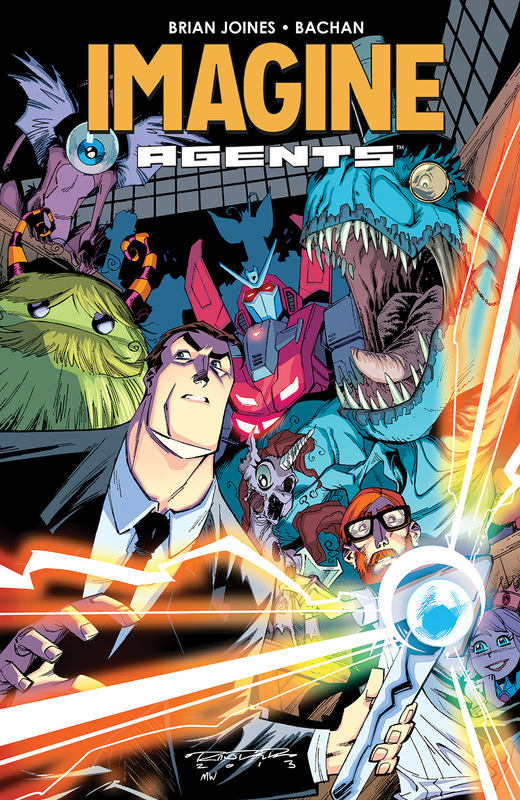 Written by Joines (Krampus) and illustrated by Bachan (Rocket Salvage), Imagine Agents is the story of two agents who work for clandestine organization I.M.A.G.I.N.E. to keep kids’ imaginary friends under control. Little do they know that an abandoned “friend” from long ago is about to disrupt the status quo and turn everything upside down. The series was published from October 2013 to January 2014, with a collected edition released in December 2014. “Imagine Agents has been the most rewarding project I've worked on and the fact it's going to be a movie with Michael Keaton, whose work had a huge impact on my teenaged years and indirectly played a role in my decision to become a writer, is just a mind-blowing continuation of that reward,” said Joines. BOOM! has a first-look feature film deal at 20th Century Fox that includes first-dollar gross on films based on any of its comics, which the publisher splits with its creators. BOOM! Studios Founder and Chief Executive Officer Ross Richie will produce the film with Keaton and Anonymous Content’s Michael Sugar. President of Development Stephen Christy will executive produce with Anonymous Content’s Eli Selden. Senior Vice President of Film Adam Yoelin will co-produce in cooperation with Anonymous Content’s Ashley Zalta. Keaton, best known for his roles in Beetlejuice and Batman, is coming off his award-nominated performance as washed-up superhero actor Riggan Thomson in New Regency Pictures’ Birdman and is currently filming The Founder, a biopic about Ray Kroc, the founder of the McDonald’s fast-food chain.